So you want to be a good dog trainer! The launch of Guinea Pig Camps has attracted the attention of many animal lovers, particularly dog trainers. I have been asked repeatedly two particular questions: (1) how can training guinea pigs make me a better dog trainer? 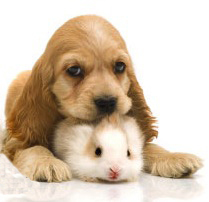 (2) What have guinea pigs got to do with dogs? Guinea Pig using the A-frame. They are not especially agile but enjoy challenges. A good trainer can teach them lots of tricks. The basic skills you need to train a dog are the same as those you need to train any other animal. The only difference is a dog is a dog and not a horse, or a cat, or a guinea pig, as you well know. This is good news for you as (mainly due to our common history) there is no other animal as easy to train as a dog. On the other side, and precisely because dogs makes it easy for us, there is a limit to how much we learn if we only train dogs and never other animals. Dogs forgive our mistakes and are nearly always motivated to cooperate with us. 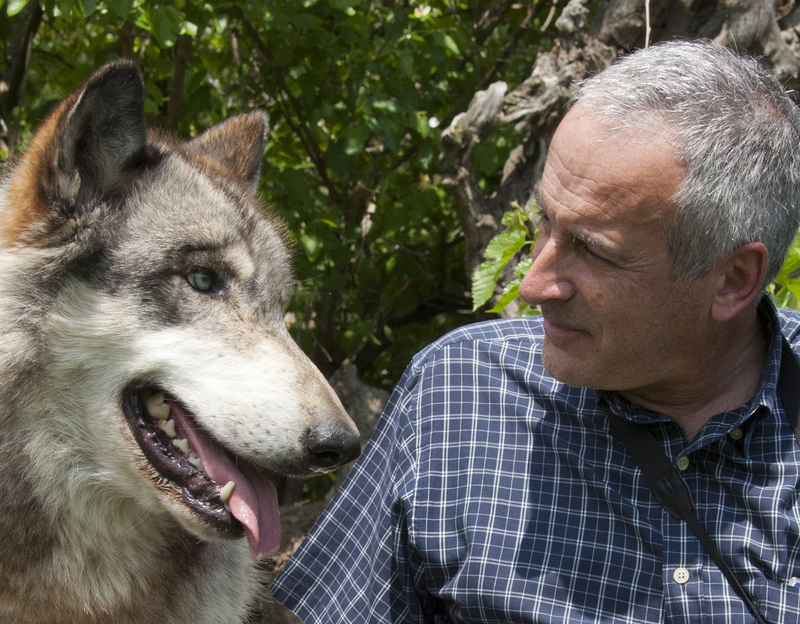 Other species scrutinize us far more thoroughly and demand that we earn their trust. If they don’t trust us, they will not follow our teaching, and we’ll have a problem. A horse will not follow you if it doesn’t trust you and it takes a lot to earn the trust of a horse (and only a moment to lose it completely). You can offer it as many carrots as you like, but if it decides you are not someone to be trusted, the best carrots in the world will be redundant. A cat will blink at you and the treat you offer at least twice, before even considering moving into your direction. Then, if it deems your request reasonable in exchange for food, it may just indulge you. Otherwise, it will just blink again, if you’re lucky, before resuming its catnap. Dog and guinea pig together. 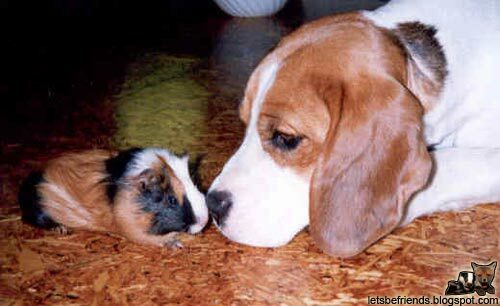 Training a guinea pig can make you a better dog trainer (photo letsbefriends.blogspot.com). The guinea pig, a small, rather cute, social animal, is fearful by nature, as it is a favorite prey of many predators, including humans. Humans don’t share a common evolutionary history with the guinea pig like with the dog, so you won’t get anything for free. You’ll have to work to gain your guinea pig’s trust and show it that co-operating with you is profitable in both the short and long term. 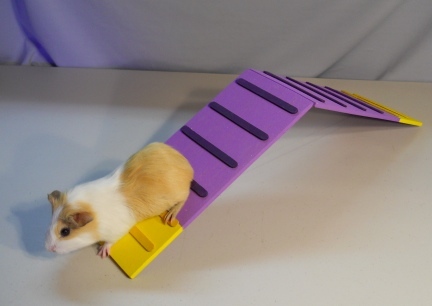 Training guinea pigs will teach you many of the theoretical aspects of animal learning that you may find boring to read in a book; and will do so in a fun way because you will be learning hands-on. You’ll have to be very precise and apply the right methods to produce the right behavior. You’ll explore the whole spectrum of operant conditioning and thus improve your practical skills. Dogs are exceptional animals and as trainers we are lucky because they are (almost) always attentive to what we’re doing and they are great observers. As Professor Lorenz once said in a class, “dogs are better ethologists than we are.” This is not the case with guinea pigs as they lack that common evolutionary history with us. They have good observational skills, they’re just not particularly attuned to human behavior. 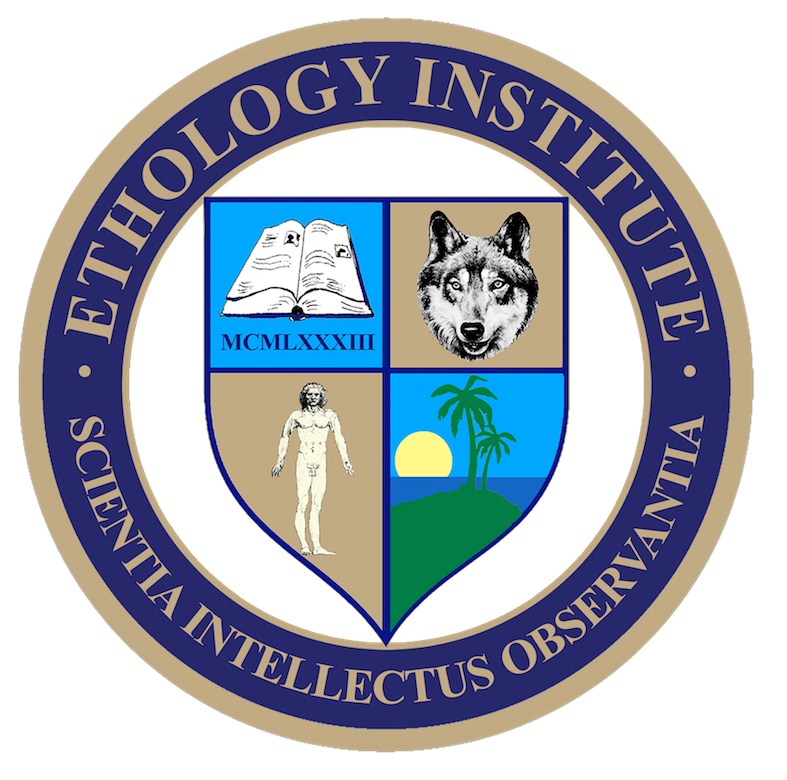 You’ll have to be a keen observer your self to determine the right moment to implement the right method to achieve the right behavior; thus, you will develop your own observational skills, which in itself will undoubtedly make you a better dog trainer. We are so familiar with dogs that we tend to interpret their behavior as if they were humans, a grave mistake indeed, but we mostly get away with it. With guinea pigs, you learn to observe, analyze and interpret behavior objectively. Animals of different species can develop good relationships and live together in harmony (photo by Dashawk). You can teach dogs many things without a proper plan. They are so active and eager to please that, sooner or later, they will do something you like, which you can then reinforce. However, this is not the case with guinea pigs. You’ll need to plan in advance, clearly defining your goal and drawing up a plan of action. With dogs, we can play by ear and sing along, but this is not sufficient with other animals. Training guinea pigs teaches you to be prepared for eventualities, to plan alternatives, to prepare a plan B for when plan A doesn’t work as you expect. Once you’ve learned this skill, your dog will be the first to thank you for having a plan for your training sessions. You are aware that timing is important when you train your dog, but surprisingly enough, you’ll still achieve acceptable results even if the reinforcer is not precisely timed. With dogs, it’s like singing a melody out of tune and your friends still recognizing it. With guinea pigs, you’d better sing in tune or they will tacitly suggest you get your act together before going back to them. 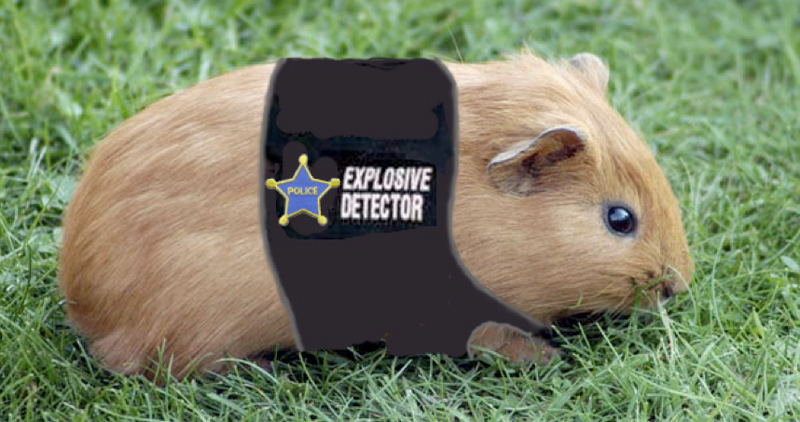 After training guinea pigs, your sense of timing will be much more precise. Some people have problems registering what’s happening around them because they are overly preoccupied with their own feelings and emotions. We can afford this kind of distraction with our dogs, but not with other animals and so training guinea pigs will help you focus on the animal you train and develop your eye for detail. This will increase your self-awareness, which will not only turn you into a successful guinea pig trainer, but also a much better dog trainer—and will perhaps help you in your life beyond dog training too. At our guinea pig camps, you work in a team of three. Each team designs a plan of action, which they then register, film, analyze, modify and implement. All three members of the team will take turns at training, registering and filming the sessions. You’ll improve your ability to work in a team, a skill that will be helpful, not only when you go back to training dogs, but in all spheres of your life. If you like nose work with dogs, training a guinea to do detection work is the right thing for you and will teach you a lot. They have a good nose, but you’ll have to be good at motivating them and have a great sense of timing. In a sense, a guinea pig camp is a mini course in ethology (the science of animal behavior). Most animal owners, and many trainers too, can’t distinguish between four fundamental behaviors that social animals have evolved: the so-called aggressive, fearful, dominant and submissive behaviors. Confusing aggressive and dominant behavior, as well as fearful and submissive behavior is unfortunate, yet only too common despite the fact each of these behaviors has its own particular function and expressions. When training guinea pigs, it is not important whether or not you can distinguish dominant and submissive behavior from aggressive and fearful behavior, even though they are common guinea pig behaviors. There’s no way you can be part of a guinea pig herd. You will always be the stranger, but you can choose whether you’ll be a nice, trustful stranger, or a distressing, unreliable one. It’s up to you and it’s not difficult but it requires you think carefully about what you do. Much like horses, guinea pigs tend to react fearfully when in doubt (the key to their survival throughout their evolutionary history). Displaying composed, self-confident behavior works well, but anything more assertive than that will backfire on you. Dogs, these evermore amazing animals, give you a second chance (and understand our bad “accents” in dog language); a horse or a guinea pig hardly ever do so. If you as much as think of trying to bully a guinea pig into doing what you want, it will react fearfully and can freeze for up to 30 minutes, which is a disaster for any aspiring trainer. You’ll soon learn that coercion is not the way to go at all. Thus, you’ll learn the secrets of motivation and the beauty of working within and with your environment, rather than attempting to control it; and that in itself will lead you to unexpected and welcomed results. If they could, I’m sure your dog and your horse would thank the guinea pigs for what they teach you when you train them, for you will be, undoubtedly, a much more subtle and balanced trainer. You’ll be in control of yourself rather than the animal, motivating rather than forcing, showing the way rather than fumbling about, achieving results with the least (sometimes even imperceptible) amount of intrusion into your favorite animal’s normal behavior.